“The Teacher Within” provides participants with the information, and resources they need to explore, establish, cultivate, and deepen their understanding of how mindfulness, resilience, and well-being can lead to more effective, meaningful teaching in the 21st century classroom,which will have a great impact on students’ learning. – Learn the benefit of being and staying present, both inside and outside the classroom. – Understand the ARAT philosophy (Awareness, Recognition, Action, Transformation). motivation and enthusiasm in teaching. Simona Baciu is an innovative and visionary leader in education. 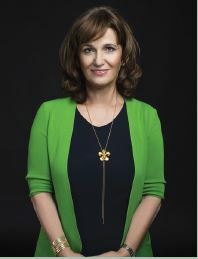 She is recipient of a British International School Lifetime Award and holder of the Custodian of the Romanian Crown Medal, awarded for her outstanding contribution to education. At the beginning of the 1990’s, as a teacher in a state school in Romania, Simona decided to start a school that would introduce change in the prevailing system and make a difference in the lives of students. Happy Kids Kindergarten was opened in 1993 in one of the rooms of her family’s small apartment. This is how ransylvania College, today a well-known and prestigious institution with over 700 students, was born.